Cases of thyroid cancer are on the rise in the United States, and experts want you to know how people at high risk for the disease can detect it early. According to the American Cancer Society, 54,000 new cases will be diagnosed in the United States in 2018. And three out of four of these cases will be women. But anyone can get the disease. Symptoms can occur earlier in women, who are typically diagnosed in their 40s or 50s, while men commonly are diagnosed in their 60s or 70s. “While the majority of thyroid cancers arise without a family history, if you have a family history of thyroid cancer, you should have any new lump or mass in your neck evaluated by your physician,” said Dr. Brett Miles. He is co-chief of the division of head and neck oncology at the Icahn School of Medicine at Mount Sinai in New York City. Also, people with a history of Hashimoto’s thyroiditis, radiation exposure to the neck, or familial colon polyps are at increased risk, he added. “A good rule of thumb is that swollen lymph nodes or lumps in your neck that do not go away after about three to four weeks should be evaluated,” Miles said in a Mount Sinai news release. Thyroid cancer is a tumor or growth in the thyroid gland in the front of the neck. Several types of thyroid cancer exist. The most common is papillary carcinoma, which is curable, especially if caught early. Important risk factors include: A family history of thyroid cancer; a history of radiation exposure to the head, neck or chest; or a diet low in iodine. Regular follow-up care is an essential part of treatment. A lump or enlarged lymph nodes in the neck. A thyroid exam every three years if you are 20 to 39 years of age. A thyroid exam every year if you are 40 or older. Avoid unnecessary exposure to radiation. Have checks often if you’ve been exposed to radiation of the head, neck or chest, and have a family history of thyroid cancer. Do a thyroid neck self-exam, looking for asymmetries or protrusions below the Adam’s apple. 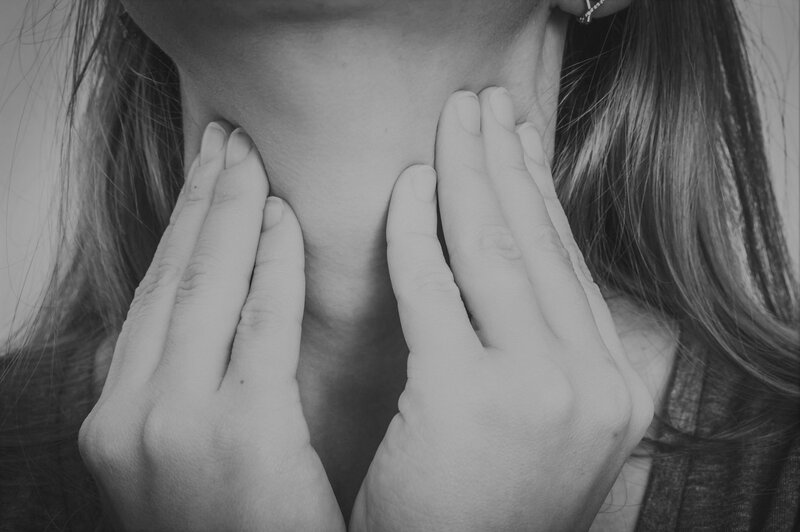 Most thyroid cancer patients do not have any symptoms when they are diagnosed, said Dr. Raymond Chai, an assistant professor of otolaryngology at the Icahn School of Medicine at Mount Sinai. “These cancers are often only identified during routine physical examination by a physician,” Chai said. “It’s important to note the vast majority of early stage thyroid cancers can be successfully treated, and that’s why early detection is critical,” he added.